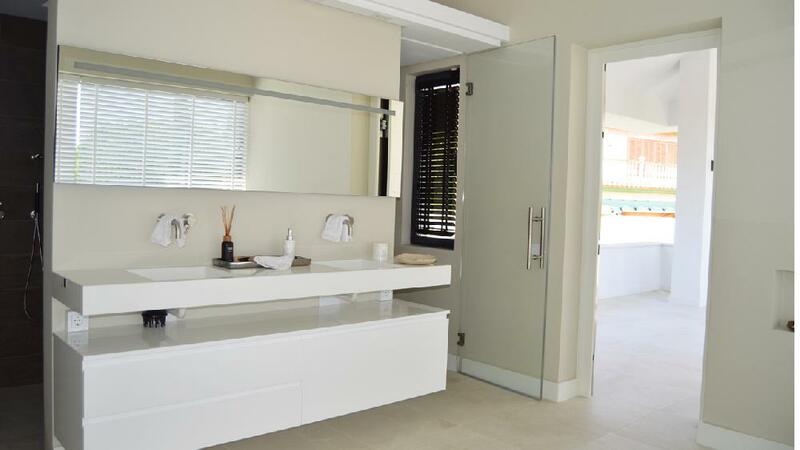 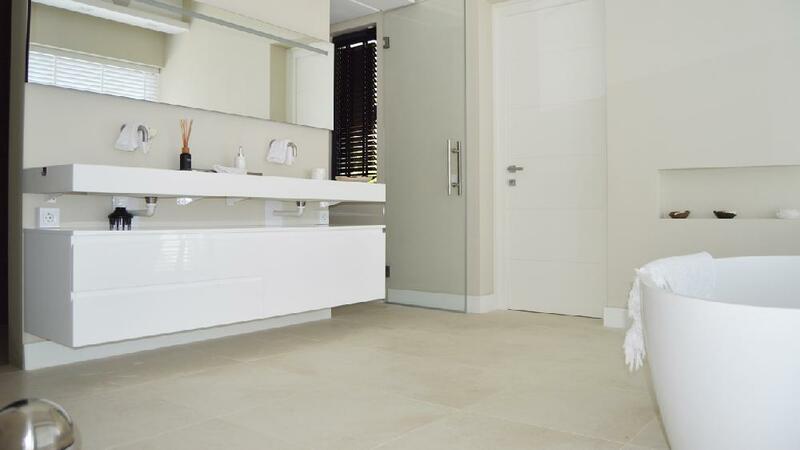 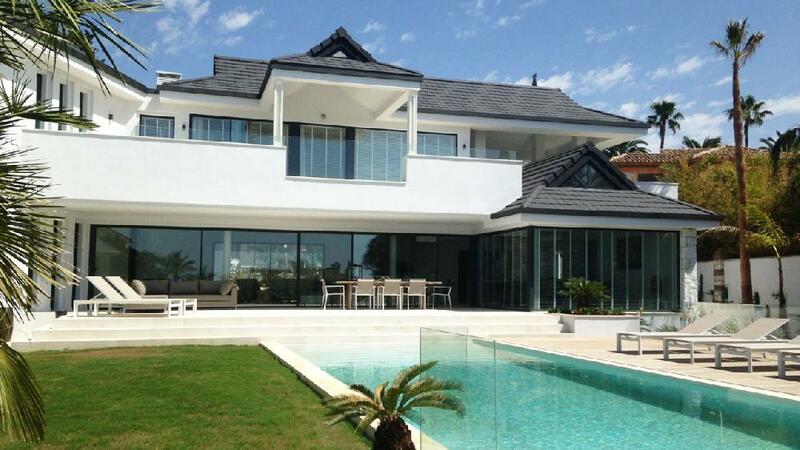 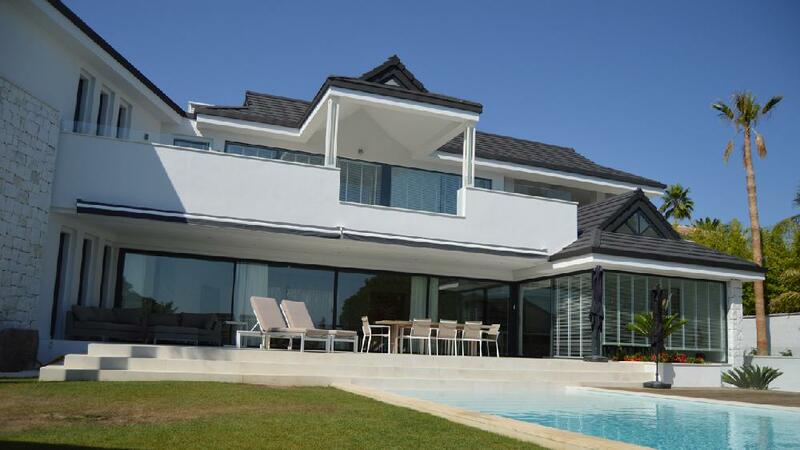 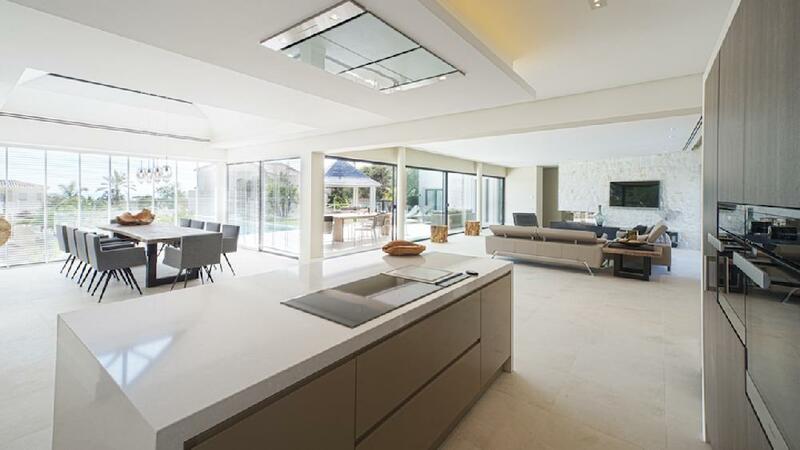 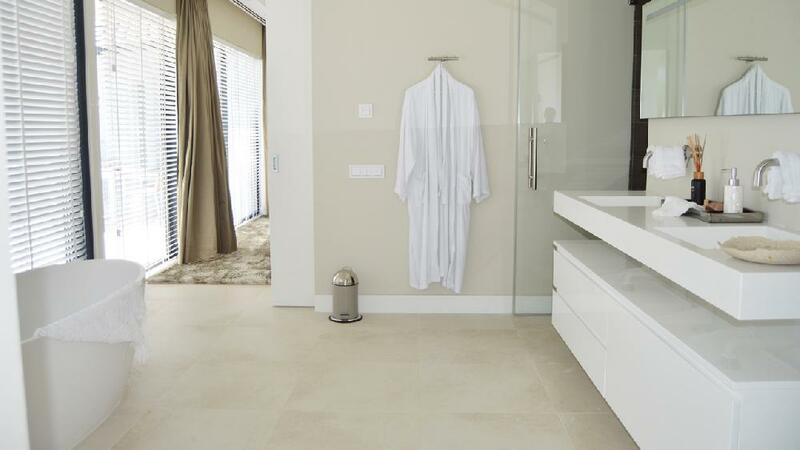 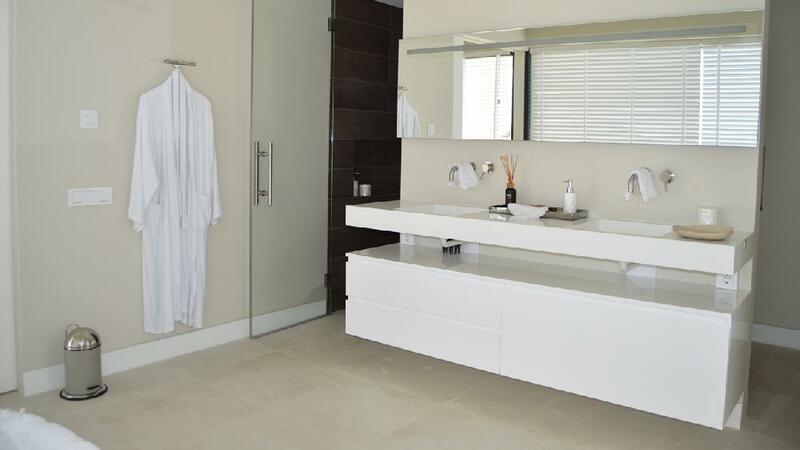 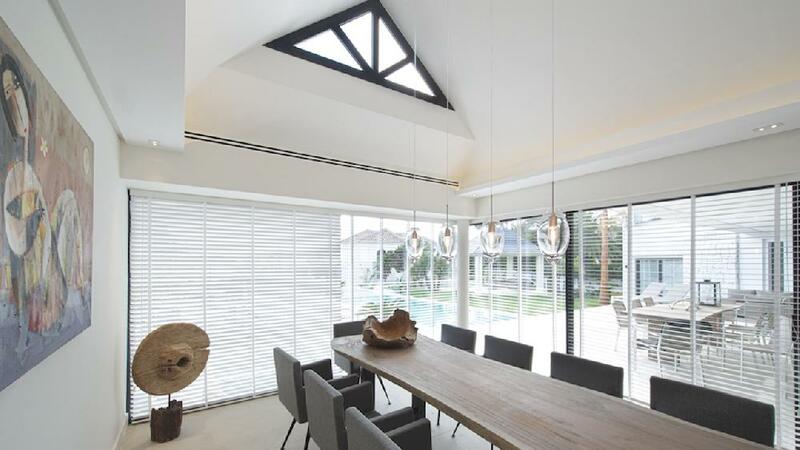 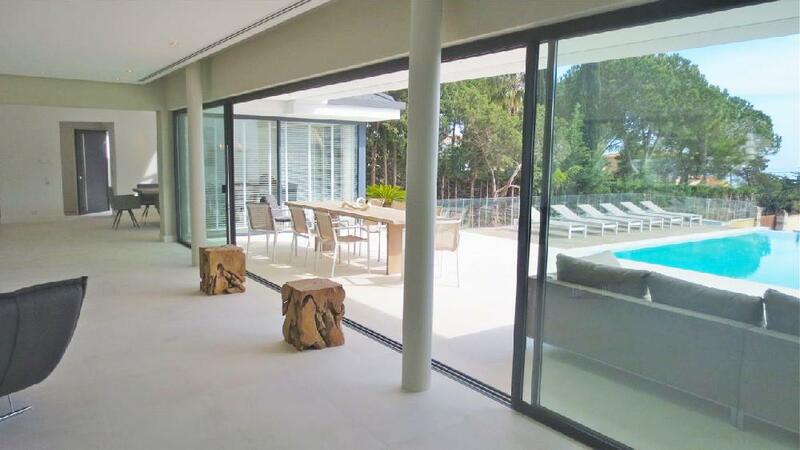 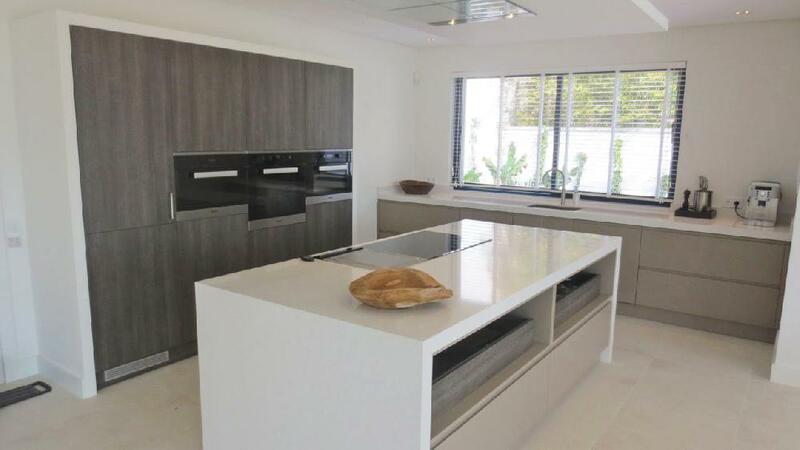 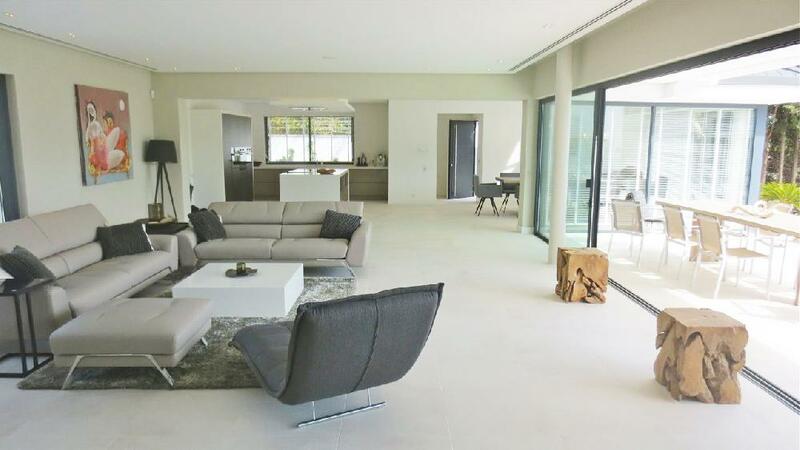 Villa, Marbesa – Brand new contemporary villa for holiday lets. 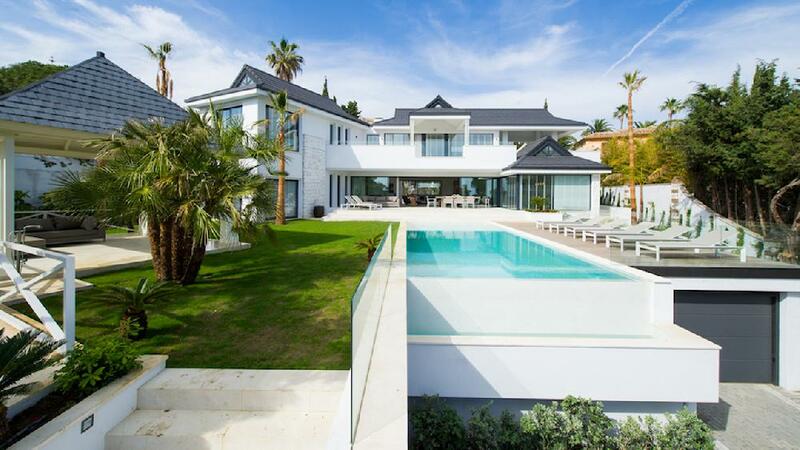 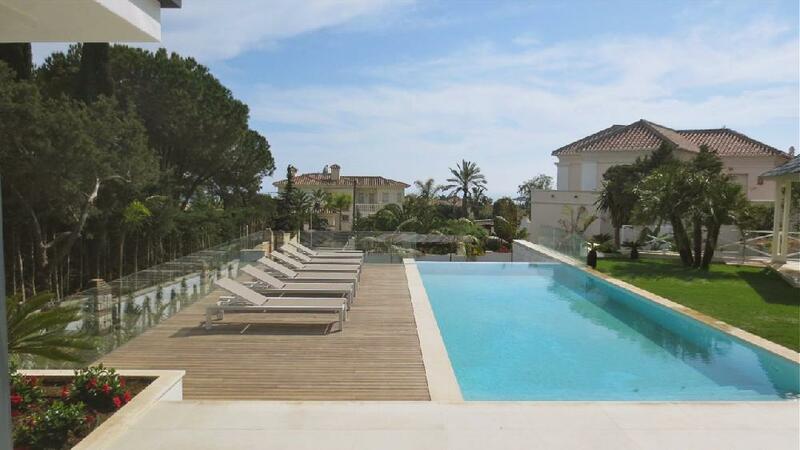 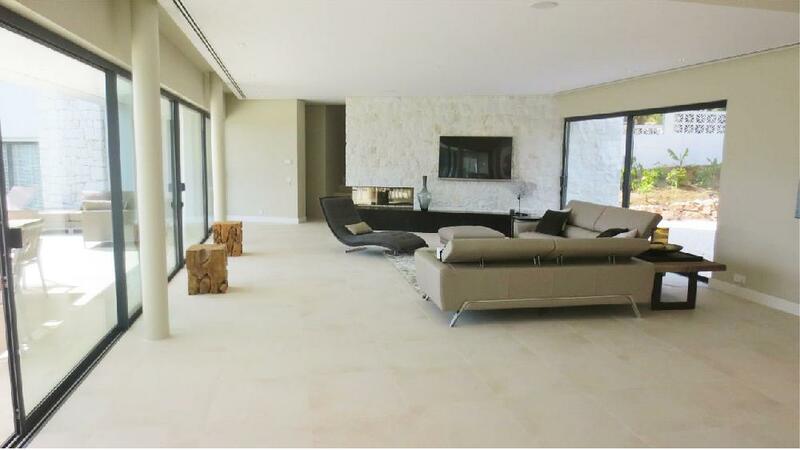 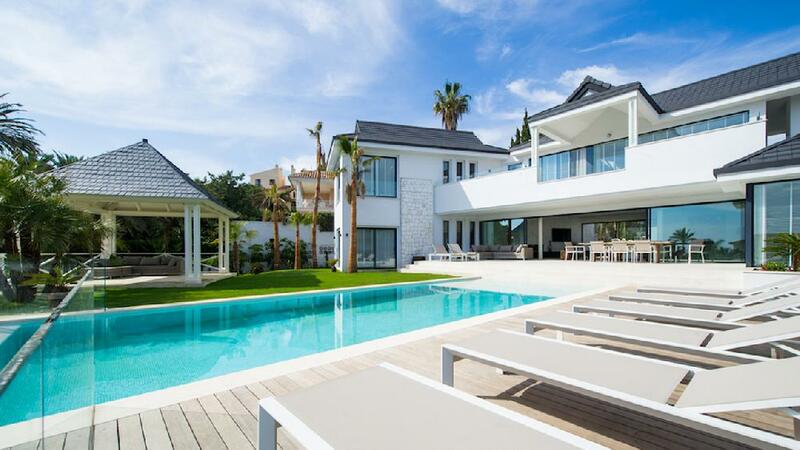 Recently completed and built to the highest quality standards, 5 -6 bedrooms, 5 bathroom, located in the exclusive and prestigious residential area of Marbesa, 300m from the beach, the best beaches of Marbella, Costa del Sol.. 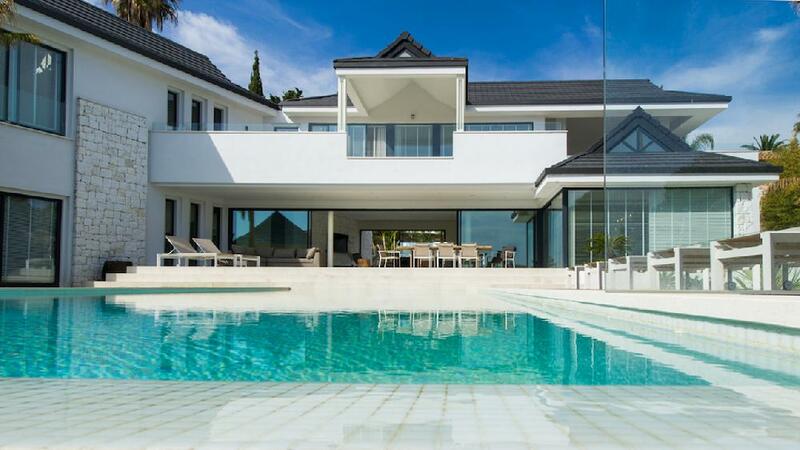 This elegant villa is built in 3 levels and features 6 bedrooms. 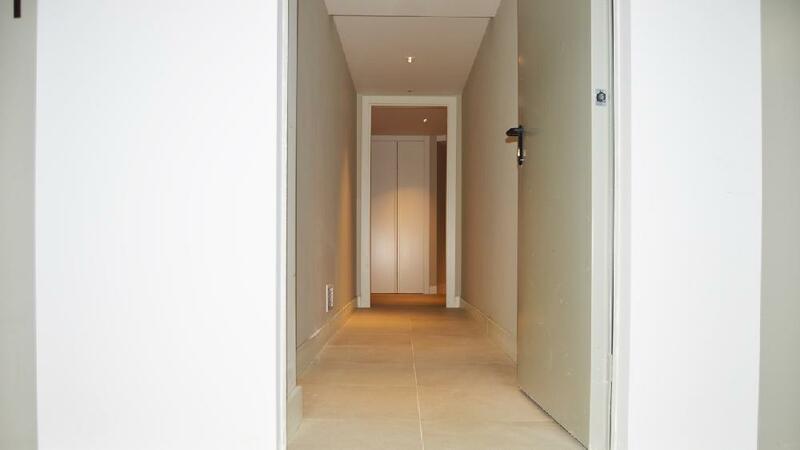 Two of them on ground floor sharing one bathroom, three bedrooms en-suite on upper floor and one on-suite at basement level. 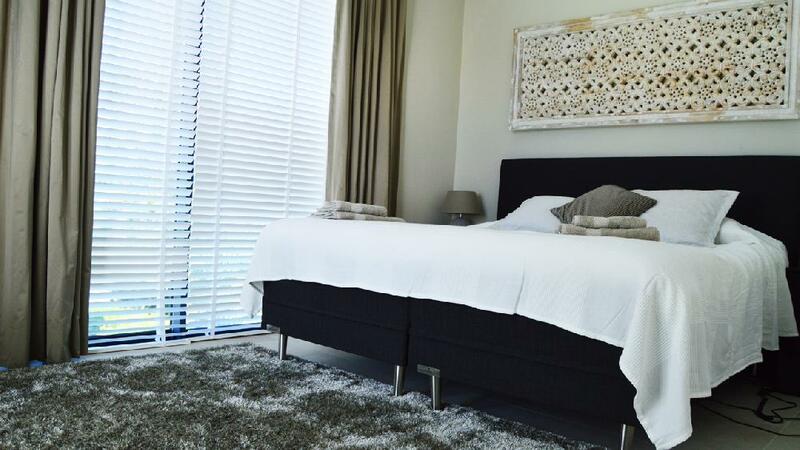 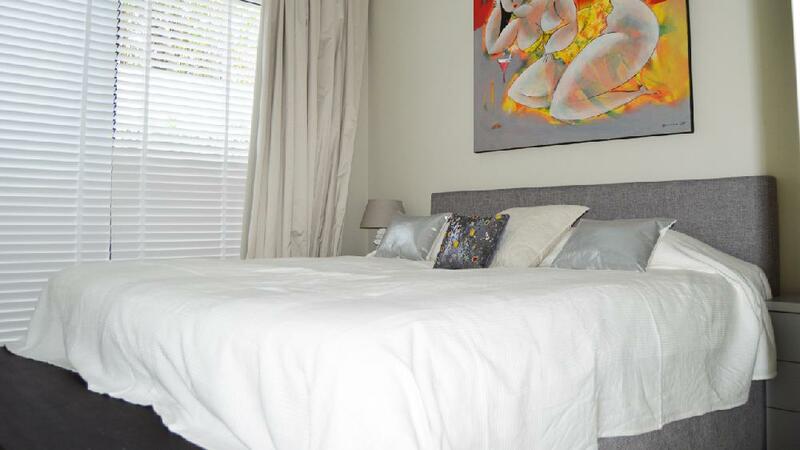 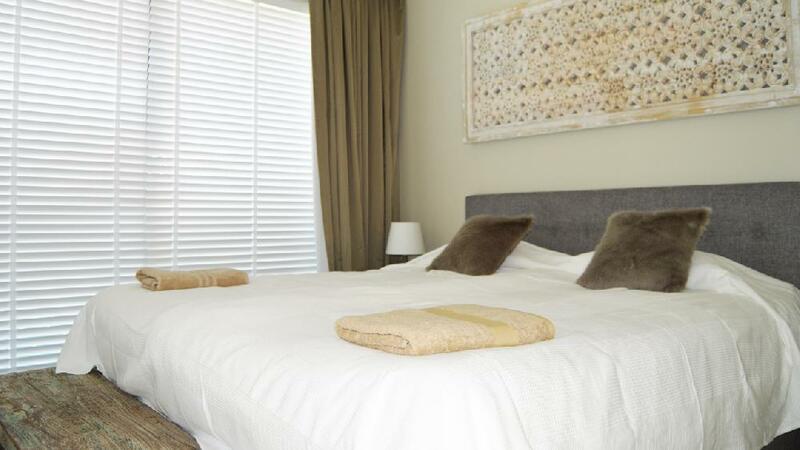 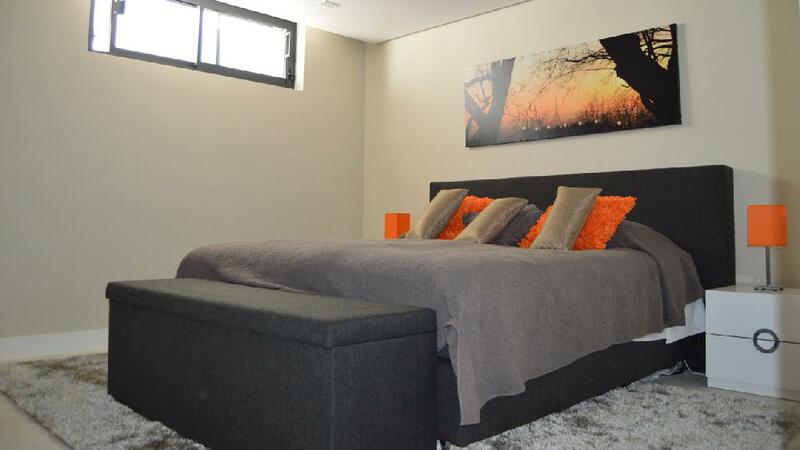 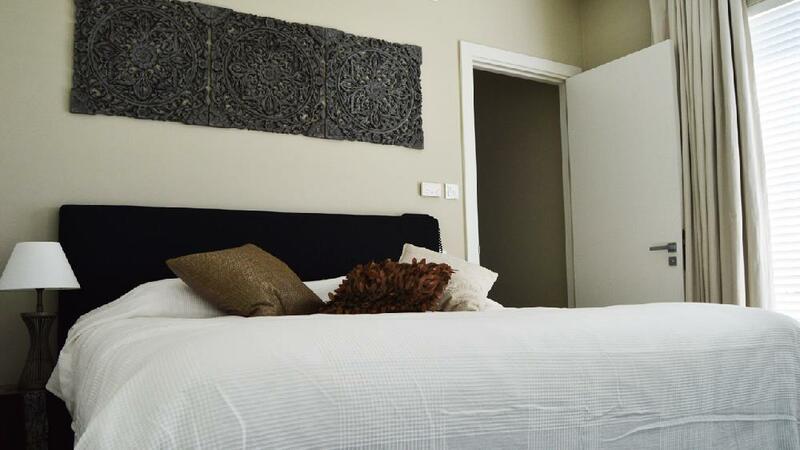 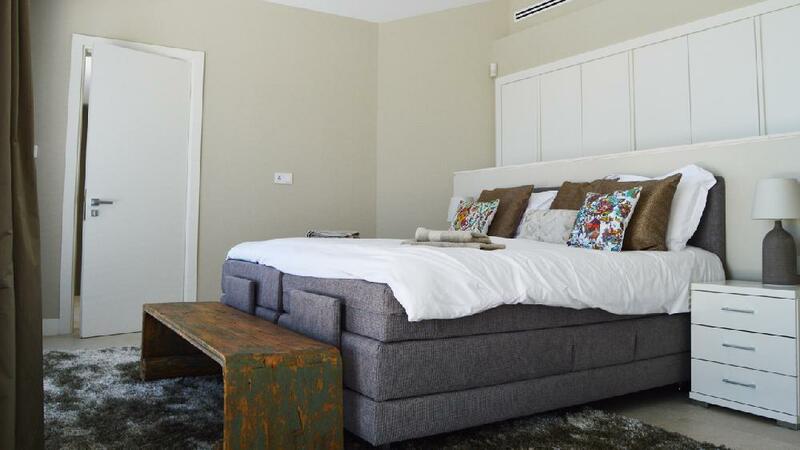 All rooms are spacious and bright, with plenty of windows allowing natural light to flood in. 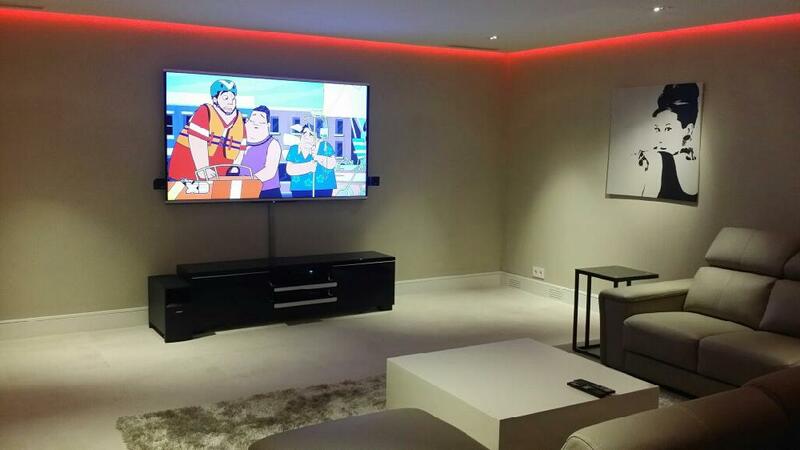 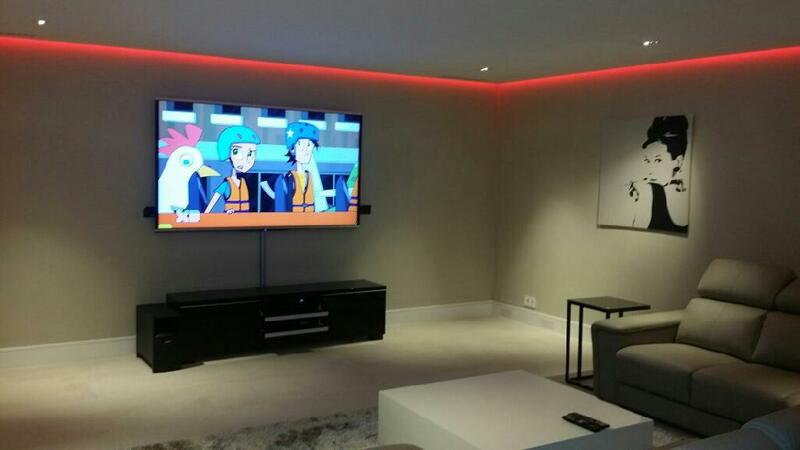 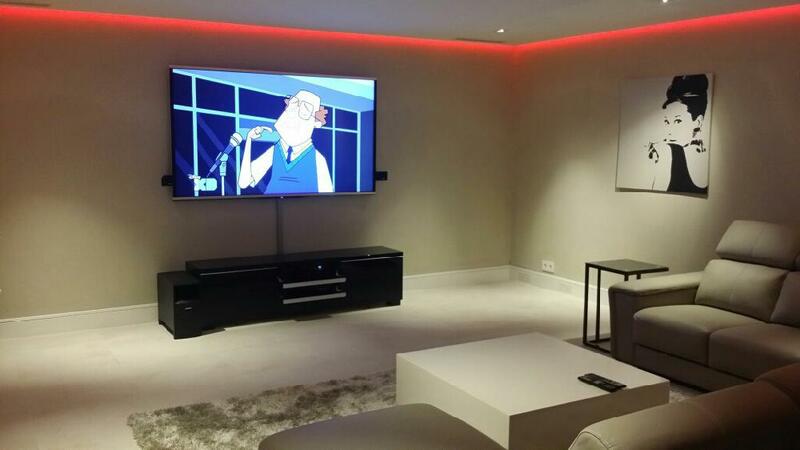 Cinema room and garage for 4 cars. 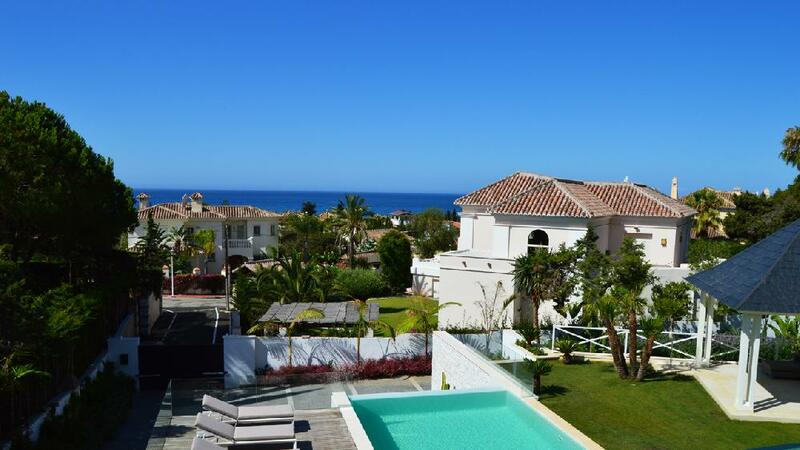 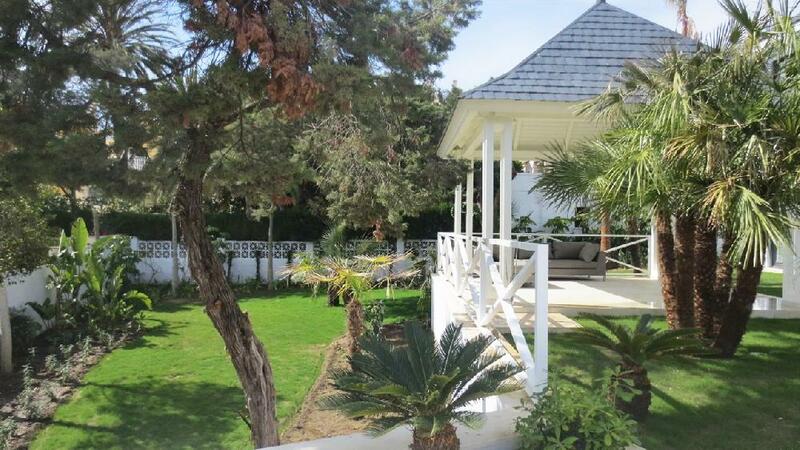 A highly desired, beachside area opposite the well-known exclusive area of Las Chapas. 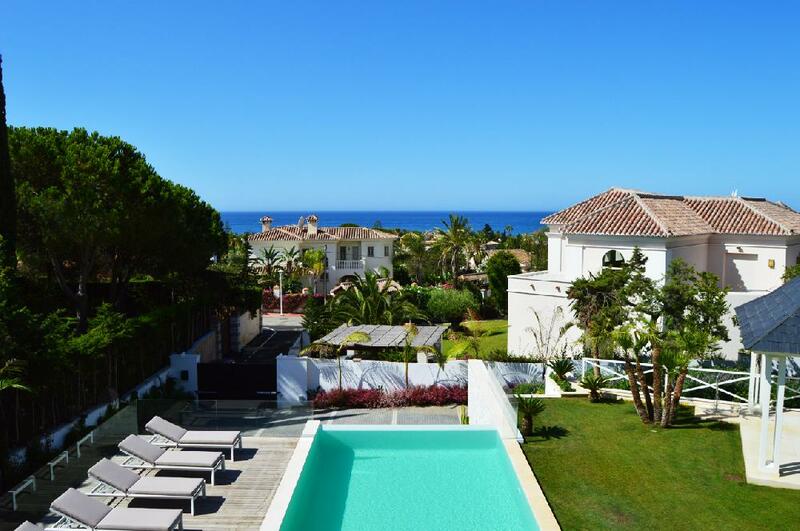 Marbesa is centrally located between Elviria Playa and the pittoresque port of Cabopino, consisting of substantial, big villas on large plots and affordable beach houses on smaller plots, making this area a friendly family area. 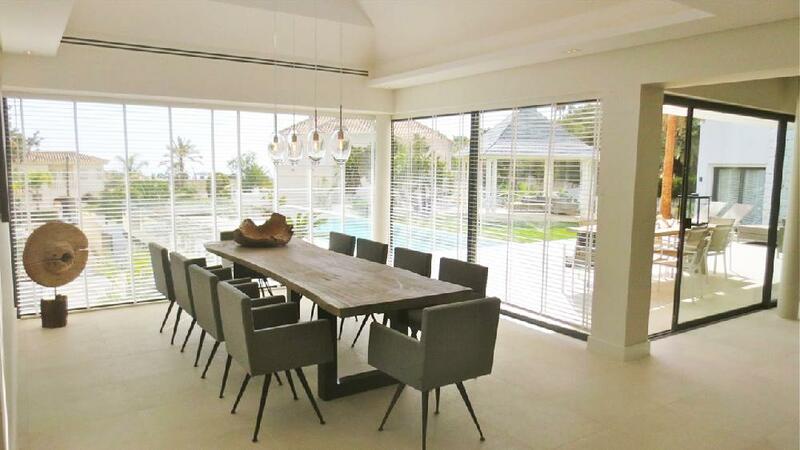 Due to recent renovation projects and re-development, the areas has appreciated in value and is considered as an ‘upcoming’ beach area. 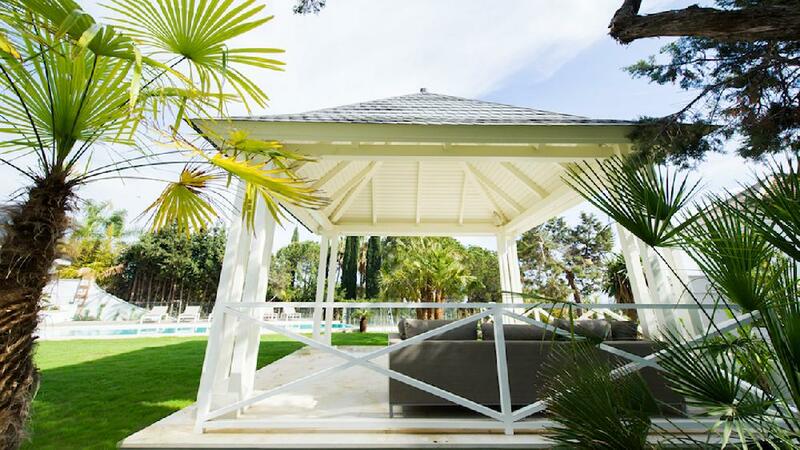 Marbesa has a selection of lovely beach restaurants along the shore, and on walking distance you’ll reach Cabopino port, Elviria beaches and other amenities such as supermarkets and restaurants. 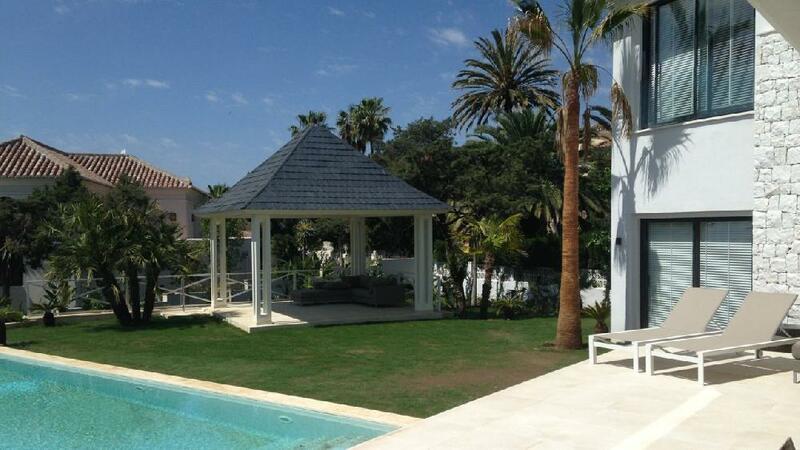 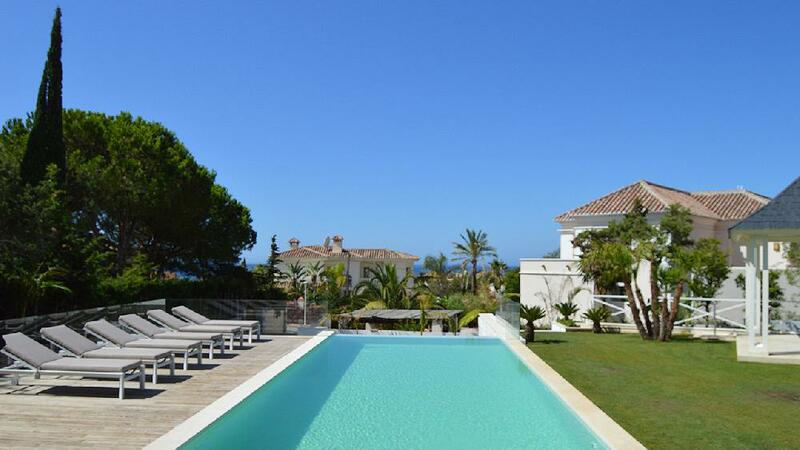 Marbesa is situated just 30 minutes from Malaga airport and 10 minutes to Marbella town.